Sign up for our 5-Point Weekend Escape Plans Guide to the best in weekend travel. Go beyond country in Nashville or become a cheeseburger connoisseur in New Mexico — New York Travels takes you there. Get special offers and discounts by email on behalf of specially selected advertisers we think you may enjoy. NO PURCHASE NECESSARY TO ENTER OR WIN THE DREAM OF A LIFETIME SWEEPSTAKES. Legal residents of the 50 United States and the District of Columbia 13 or older can register from this website. See Official Rules for alternate entry method and geographic eligibility. Winner(s) of prizes below will be selected via random drawings at 3:00 PM ET on 6/30/18 from among all eligible entries received. Random drawings conducted by Ventura Associates Intl. LLC (“Ventura Associates Intl. LLC” or “Judges”) whose decisions are final. Potential winners notified within 2 weeks thereafter. All prizes guaranteed to be awarded. Open only to legal residents of the 50 U.S. & the District of Columbia, Canada & to residents of other countries & U.S. territories & possessions only where offered & permitted by law. Void where prohibited by law. DREAM OF A LIFETIME GRAND PRIZE GIVEAWAY CONSUMER DISCLOSURES: You have not yet won. No purchase necessary. Grand Prize winner chooses from a variety of merchandise of approximately same value (e.g., automobiles, vacations, electronics, etc.). Approximate retail value (ARV) of merchandise: up to $30,000 or $25,000 cash option. Estimated odds of winning: 1:10,000,000. Promotion registered by Ventura Associates Intl. LLC may be presented in different creative presentations by different organizations (the “Presenting Promoter(s)”). Begins 12/1/16 at 12:01 AM EST & ends 1/31/18 at 11:59 PM EST. DREAM OF A LIFETIME DREAM PRIZE GIVEAWAY CONSUMER DISCLOSURES: You have not yet won. No purchase necessary. Prize levels 1st through 3rd offer a variety of similar value merchandise, electronics, etc. Such winners only may select any prize offered at level won or cash equivalent of ARV stated below, where cash option is available. Prize ARV/estimated odds of winning: one 1st Prize (ARV: $2,000): 1: 10,000,000; one 2nd Prize (ARV: $1,000): 1:10,000,000; 25 3rd Prizes (ARV: $100 each): 1:400,000; 250 4th Prizes – Watch (ARV: $72 each, no cash option available): 1:40,000. Total ARV: $23,500. Promotion registered by Ventura Associates Intl. LLC, & may be presented in different creative presentations by different organizations (the “Presenting Promoter(s)”). Begins 12/1/16 at 12:01 AM EST & ends 1/31/18 at 11:59 PM EST. 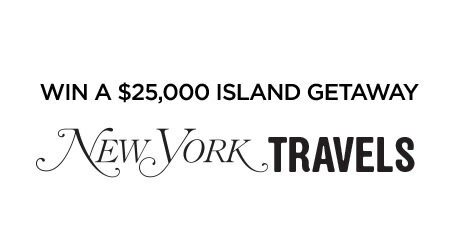 DREAM OF A LIFETIME BONUS/EARLY BIRD GIVEAWAY CONSUMER DISCLOSURES: You have not yet won. No purchase necessary. Bonus/Early Bird winner will receive check for $2,500. ARV: $2,500. Estimated odds of winning: 1:5,000,000. Promotion registered by Ventura Associates Intl. LLC, & may be presented in different creative presentations by different organizations (the “Presenting Promoter(s)”). Begins 12/1/16 at 12:01 AM EST & ends 1/31/18 at 11:59 PM EST. For a list of winners, available after 9/30/18, send self-addressed, stamped envelope by 1/31/18 to: Dream of a Lifetime Winners, PO Box 9327, Medford, NY 11763-9327. Winner selection & random drawings conducted at 60 E. 42nd St., NY, NY 10165, USA. Ventura Associates Intl. LLC, the independent judging organization, has provided all prizes at no charge. Ventura Associates Intl. LLC &/or any Presenting Promoter reserve the right to modify, cancel, suspend, or terminate these promotions if they become technically corrupted or in the event that the integrity of the promotion is compromised as determined by Ventura Associates Intl. LLC &/or Presenting Promoters in their sole & absolute discretion. In the event of termination, prizes will be awarded (if applicable) from eligible & valid entries received prior to this date of termination. Employees of any Presenting Promoter, Ventura Associates Intl. LLC, their respective advertising & promotion agencies & any other person or organization directly involved with the promotions & their respective immediate families (spouse, parents, children, siblings & their spouses) &/or household members (whether related or not) of such employees are ineligible. The name, address, telephone number & email address, if available, provided by entrant to the Presenting Promoter will be forwarded to judging agency for the latter’s use in administering these promotions. If offered in Canada, Canadian residents, to win, must first correctly answer, unaided, a time-limited mathematical skill testing question administered by mail. Any litigation respecting the conduct or organization of a publicity contest may be submitted to the Régie des alcools, des courses et des jeux for a ruling. Any litigation respecting the awarding of a prize may be submitted to the Régie only for the purpose of helping the parties reach a settlement.